How would you like a countdown until you kick the bucket right on your wrist as proceed through life? Would it motivate you make the most of your time as a living person…or would it just freak you out? 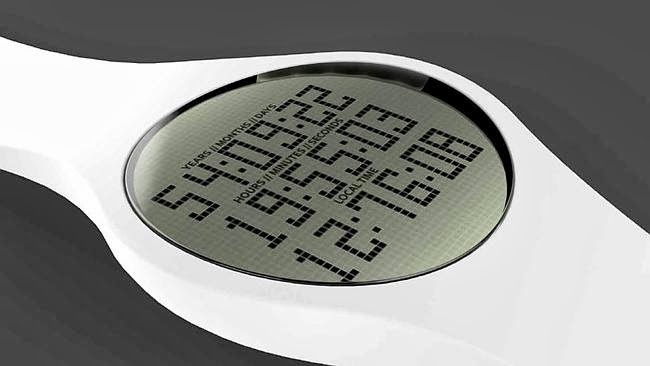 Tikker is a digital wrist watch that predicts how long its users have to live. By asking wearers to fill out a personal questionnaire on their health history, the watch will subtract your current age from the results you get and will begin a countdown to the “end date” of your life. Those behind the watch say their intentions are to help its users avoid wasting time and to live better lives. “I think we can have a better life, and make better choices, if we are more aware of our upcoming expiration. It gives us perspective — the little stuff suddenly doesn’t seem so important anymore. That’s why I see Tikker as a happiness watch,” Fredrik Colting, the creator of Tikker, told Mashable in an email. As the watch is only in a prototype stage, its KickStarter project has 366 backers with almost $17,000 worth of donations as of October 8. Those pledging $39 or more will receive a Tikker watch by April, 2014.